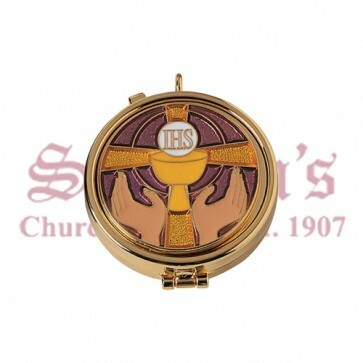 Elegant small Pyx Gold Plate with Beautiful Enameled emblem of Eucharist, Chalice, Cross and Priest Hands on cover. This attractive pyx measures 2" x 5/8" and will hold 7 hosts based on 1 1/8" size of the host, ideal size for the distribution of Communion to the sick in private homes. 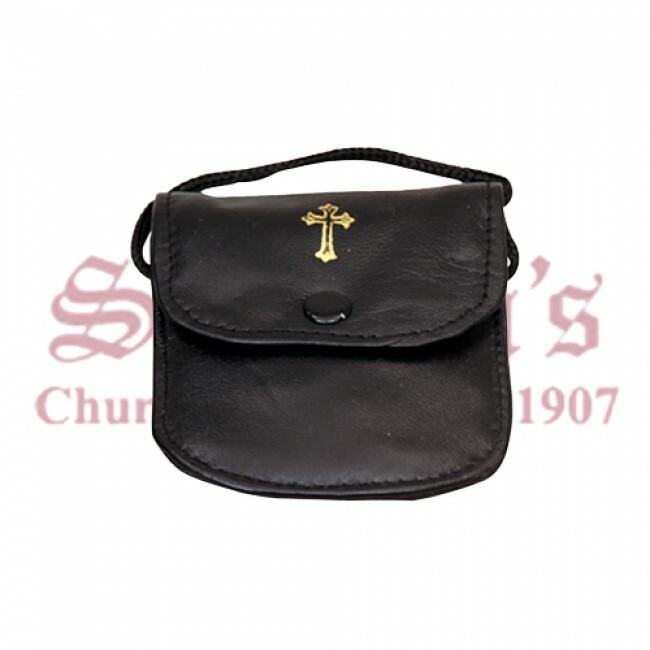 Pyx is available with high quality genuine leather snap cover burse, fully lined with protective fabric that will keep the pyx safe, complete with neck cord. Great ordination, anniversary or memorial gift. To personalize this pyx with engraving, please contact us for more information.